"As a judge, I hire four law clerks each year. I look for the best. My law clerks come from diverse backgrounds and points of view. I am proud that a majority of my law clerks have been women," Brett Kavanaugh said at his nomination ceremony Monday at the White House. Read the full transcript here. 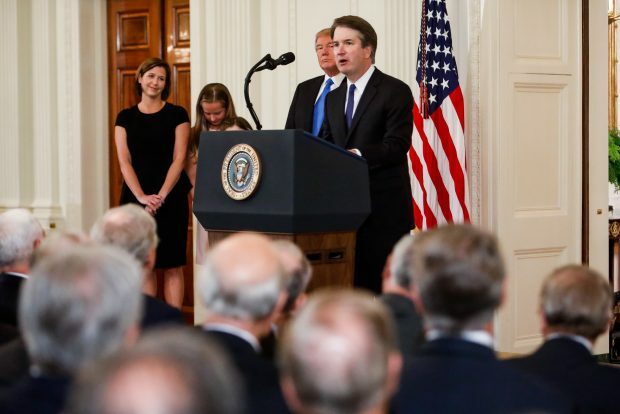 JUDGE BRETT KAVANAUGH: Mr. President, thank you. Throughout this process, I’ve witnessed firsthand your appreciation for the vital role of the American judiciary. Kerri Ruttenberg will join the big-box retailer as its new senior vice president of litigation July 1. LLM Bar Exam alleged that Barbri colluded with law schools to push it out of the test prep market, but the U.S. Court of Appeals was not convinced.